Water is a vital natural resource. People are more and more interested in its availability and management and journalists realize that too. The national and regional mass-media (press, TV, radio, magazines) as well as local newspapers, journals and publications produced by local authorities, NGOs, scholls etc., and journalists have a key role to play in properly informing people nad formulating the public opinion on water. However, environmental reporting and specifically water reporting is propably one of the most complicated tasks for media professionals, particularly the least experienced ones. 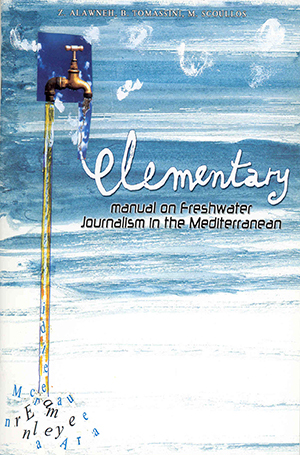 This publication should therefore be considered as a tool that facilitates environmental and water reporters – mainly beginner and volunteer journalists and NGO Communication Officers – in their difficult task of producing and communicating reliable and relevant information to their audiences. Its main aim is to provide useful guidance and tips on basic reporting techniques while covering water issues.